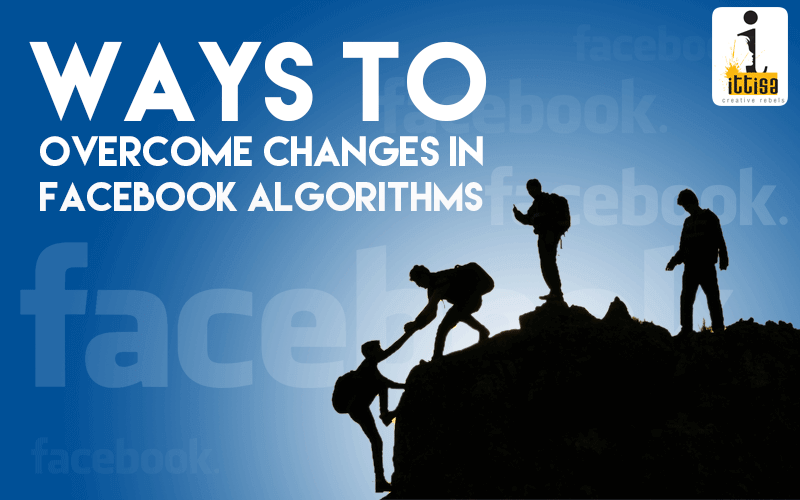 The first step to overcoming changes to Facebook algorithms is understanding what they are and how it is important to your business. Edge rank is the Facebook algorithm that decides what appears on a user’s feed, their main aim is to provide users with news feed that is relevant to them; so if your story doesn’t score well no one will see it. Facebook has been connecting people all over the world for over a decade now and has ever since gone on to keep changing algorithms to stay on par with the billions of users they have. With the major change Facebook announced providing less visibility for promotional organic posts; what do marketers do other than panic in such times? Remember to see the algorithm change more as a challenge than an obstacle by producing more competent content. This is just an added reminder for marketers to produce more engaging and innovative content for their social media followers. Try and think from the audience’s point of view. Your audience has a variety of content to choose from, it is up to brands to call for attention in a crowd of content. How? Here’s how you can create quality content without being overly promotional- by sharing up-to-date content, by producing media-rich content and by telling a story with each post. Taking up trending topics can boost your brands value by placing them in a bigger context- just be careful while doing so, as any forceful connection that you’ve made will have the opposite effect on your brand name. Just as you used to create content for target audience before, it is crucial for you to continue keeping them as your first priority. Know what excites your audience the most. For this, you need to keep a track of your post reach regularly. Be creative and try experimenting with things on your page but at the same time be meticulous in what goes up. Also make sure to interact with people on your page, reply to comments and suggestions. Nothing boosts a post like conversation between the audience and the brand. Rather than getting worked up about the algorithm changes that have come about embrace it and adapt their strategy to follow. After all, the latest Facebook algorithm changes aims at making users feel comfortable with their newsfeed. So, giving them content that is relevant to what they expect will encourage more people to use social media which in turn will increase advertising opportunities on such platforms. And what most users look for is content that they can relate to, that is content that is friendly, engaging and interactive. More like asking and suggesting rather than demanding and pushing.